There is an unbelievable amount of records issued every single day, all over the world; and if you take 10 to 15 minutes every morning to read some webzines or blogs, you’ll notice most of them are “good”, “awesome”, “revolutionary”, “interesting”. At the end of the day, if you have a “wish list”, the thing would be huge, because you’d be adding like 15 new records every week. Who cares anyway, since people seem to be downloading the music, not buying it, and when it comes to downloading, you can get 15 new records every day if you want! And that’s when the trouble starts, at least in my opinion: you listen to each record once or twice before switching to the next one. There is no pleasure whatsoever in that, just super fast consumption, which is EVERYTHING Metal bands used to denounce in their lyrics; remember? 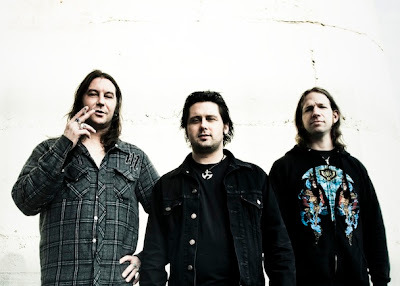 Anyways, in that sick system, some bands seem to keep it the old way, totally focused on writing quality songs, the type of music that will stand the test of time, and the California-based power-trio High On Fire definitely are one of these high quality bands. De Vermis Mysteriis (“Mysteries Of the Worm” in Latin), their new record, is one gem I’ve had for a while now, and one record I’ve been listening to a lot these past months. 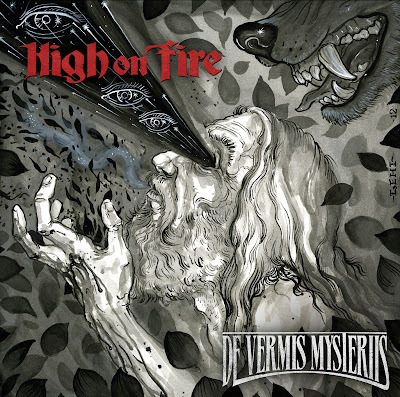 High On Fire seems so brutal and "in your face" at first sight, but only to show unbelievable musical sophistication underneath. Look at the concept: some story from H.P. Lovecraft’s Chtulu Mythos about the Christ’s mysterious twin brother. The brother dies at birth to give his life to The Christ and becomes a time traveler. De Vermis Mysteriis is a sort of concept narrating the adventures of that twin. Musically speaking, same story: the power of Kurt Ballou’s production (member of Converge but also becoming a very highly appreciated producer) and Matt Pike’s caveman voice shouldn’t obscure the fact that these guys are geniuses. Every song is so perfectly balanced, filled with epic melodies, fantastic riffs and UNBELIEAVABLE rhythms. Really, the rhythm section here needs to be highlighted, as I’ve never heard anything like that: so instinctive and yet very technical. “Bloody Knuckles”, “Fertile Green” and “De Vermis Mysteriis” are all about Kensel’s drumming. Of course, the other thing that needs to be highlighted is Matt Pike’s fantastic performance. His singing just keeps on getting better, more melodic and more diverse. The song “King Of Days” is the perfect illustration of his unbelievable progress and of the infinite possibilities for this band to grow even stronger. And I’m not even going to mention this guy’s guitar technique, as in my opinion he’s one of the best guitarists out there, probably playing the heaviest and most powerful riffs in the world. The “Madness Of an Architect” main riff alone should easily convince you of that fact. Last superpower High On Fire obviously possesses: the chemistry between the musicians, something really specific to power-trios, established upon years of common live shows. And that naturally gives them, as I just mentioned, lots of possibilities. De Vermis Mysteriis is such a diverse record; it’s 100% Heavy, it’s Metal Music at it’s best, it's so epic and complete, it has the heavy riffs, the melodies and the traditional instrumental song “Samsara” lead by Matz’s wild bass. "Fertile Green" alone should make you run out and go grab this record. 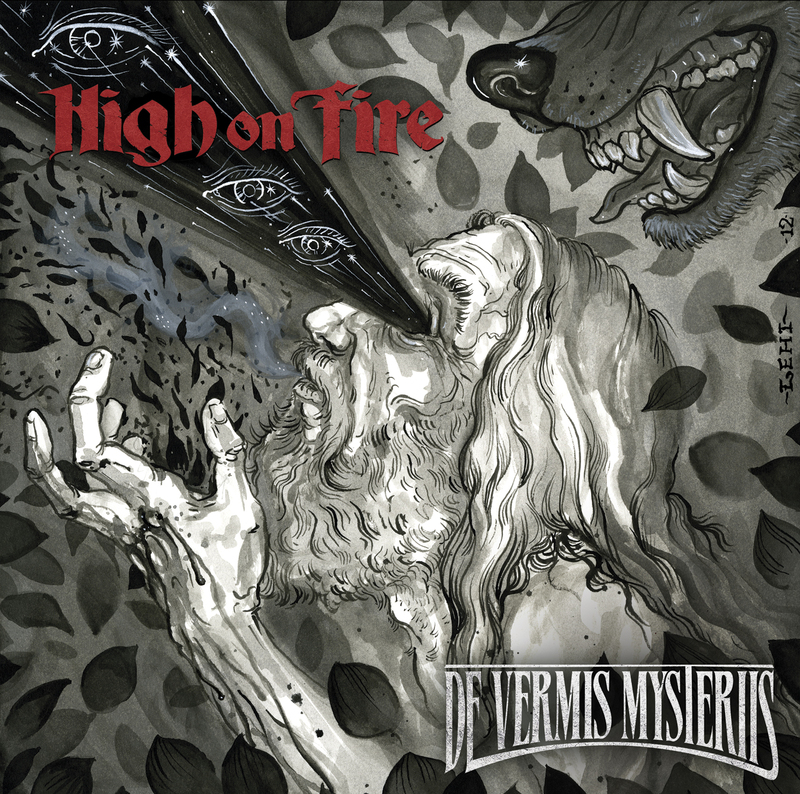 Everyone knew High On Fire was a fantastic band, but these guys keep on getting better, and this new record is clearly their best to date. It’s naturally one of 2012’s best releases and probably my favorite this year. And please, do think about all the records you read about being “awesome”, “fantastic” or I-don’t’-know-what-other-cool-stuff: they stand NO chance at all next to this masterpiece. It’s time to review your standards my friends, because High On Fire have just set a brand-new scale of awesomeness! Yath - this is a clear 10/10 !